It’s never too early to start reading with your kids. Reading with children helps them to build active imaginations and promotes early literacy. 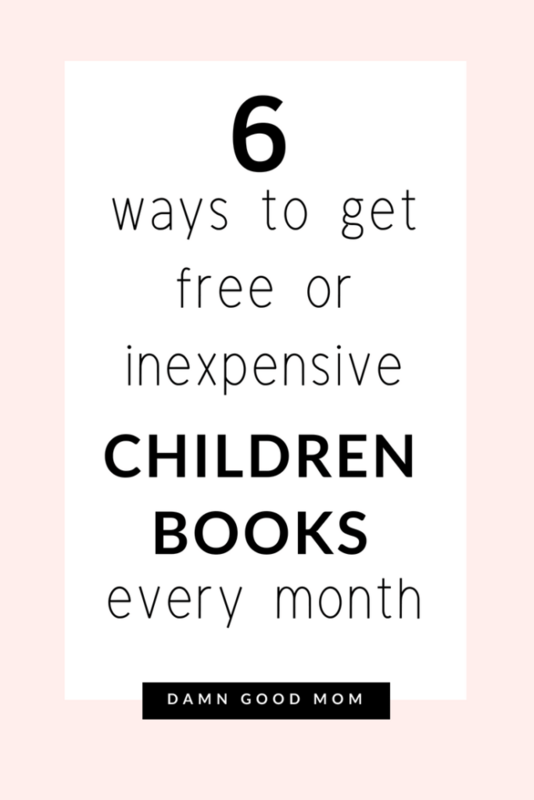 Here you will find 6 ways to get your hands on free and inexpensive books to read with your child. There is abundant research that shows the benefits of reading to children starting at an early age. I love to read and I have an education background in family life and youth development so I take reading with my daughter often seriously. Thankfully, she has an interest in reading and all I have to do (for now) is find engaging books. I could go to pricey bookstores and spend $$$; however, to save money, I’ve found ways to get quality books for free or for very little money. You can too. 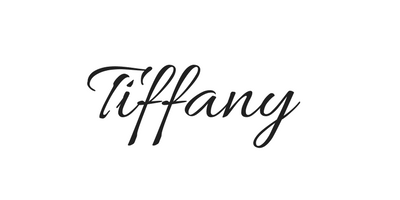 If you don’t visit Salvation Army type stores or consignment shops for the clothes, that OK. There are often other gems to be found in these establishments – like gently used books. Usually, there are shelves and shelves of adult and children books that are in good condition that can be purchased at a fraction of bookstore prices. I’ve had great luck finding quality books for my toddler at places like Marshalls, TJ Max, and Burlington. I also occasionally find decent sales on books at superstores like Target and Barnes & Noble. Before I buy at these places, I like to compare the prices with prices on Amazon and often the prices are better than my beloved Amazon Prime prices, so I rack up on board books that are difficult to destroy. Before I became a mom, I had no idea about the numerous number of subscription boxes for babies and kids. Dolly Parton has a passion for helping children learn to read and her book gifting program currently delivers more than one million books a month, to children in four countries! 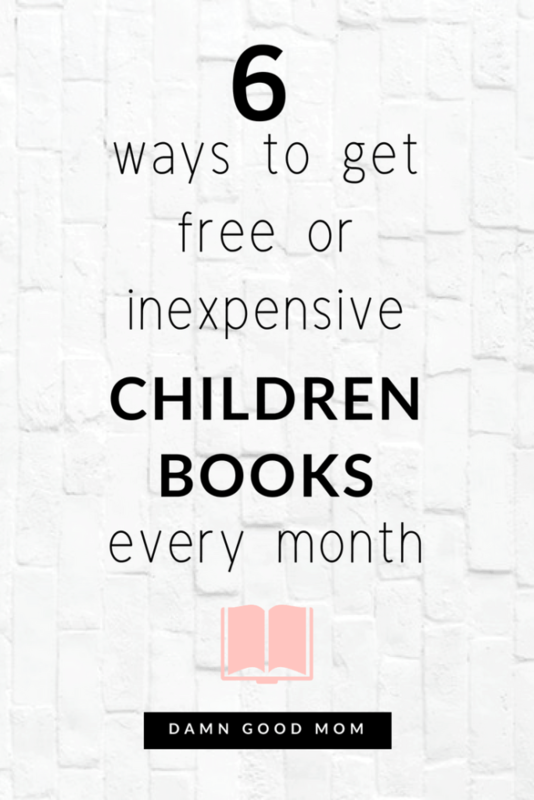 If you live in the United States, United Kingdom, Canada, or Australia and your child is less than five years of age, you can get a free book each month. The program is amazing and you can check this link to find out if it’s available in your area. We just signed up recently and can’t wait to receive our first book because our little one loves to read. If you are a new parent, then you know that the first year is filled with multiple doctor visits. Thankfully our provider participates in Reach Out and Read. It’s a program that encourages doctors and nurses to promote early literacy by providing children free books at each scheduled well-child visit. Each of the books we have received are quality and age appropriate. If your pediatrician participates in this program, you are probably already getting free books at your appointments. However, if you are interested in finding a participating provider or asking your current provider about the program, you can check out Reach Out and Read here. I love old dusty bookstores but my favorite place to discover new books is in the library. The library where we take our daughter has a reading program each weekday where we can participate in teacher-led storytime and songs. Afterward, we can explore a huge selection of books to borrow or purchase for very reasonable prices. Tip: If you are a frequent traveler, I highly recommend visiting libraries when you travel. I love it. It’s a free outing for the family and a great place to reinforce the importance and fun of reading. Do you know of any other places to get quality books for children for free or reasonable prices? If so, share in the comments below. Also, be sure to follow along on Pinterest for more mom life content.